One of the most important decisions that you can make for your house is what type of roofing material will provide long-lasting protection for your entire structure. Also, the material should be suitable for your roof’s pitch, especially when you have a low-pitch one. Not all materials install in the right fashion for this style of roof. 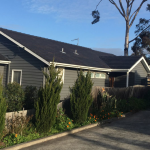 We are here to explain the following characteristics and benefits of using the new Monier Elemental™ Series of roofing for your low-pitch roof. 1. The Monier Elemental™ Series of roofing is an innovative, a streamlined and a contemporary assortment of lightweight low-pitch roofing materials designed to endure any type of weather and outdoor environment. 2. Elemental™ roofing is made from a superior fibre-reinforced composite material that has its origins in the automotive and aerospace industries. 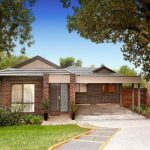 All of it complies with the Australian Building Standards AS 4046. 3. Elemental™ is reinventing roofing with its ultra-modern and contemporary look. 4. You have flexibility of design with Elemental™ too since it features the unique 750 x 750 square panel as well as the 1500 x 750 large ultra-panel. The overall design is a modern twist on the classic shingle and slate by using lightweight composite material. 5. The Elemental™ lightweight composite selection is five times lighter than other tiles are while still being structurally strong. In fact, it has a higher strength to weight ratio in comparison to that of metal roofing. 6. 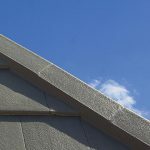 The Elemental™ shingle, square and ultra all can reach down to a 10-degree low pitch with an exfoliated stone finish. While the slate can accomplish a 15-degree low pitch with a riven-slate finish that is reminiscent of real slate tiles. All styles of panels contain a streamlined 12-mm leading edge. 7. 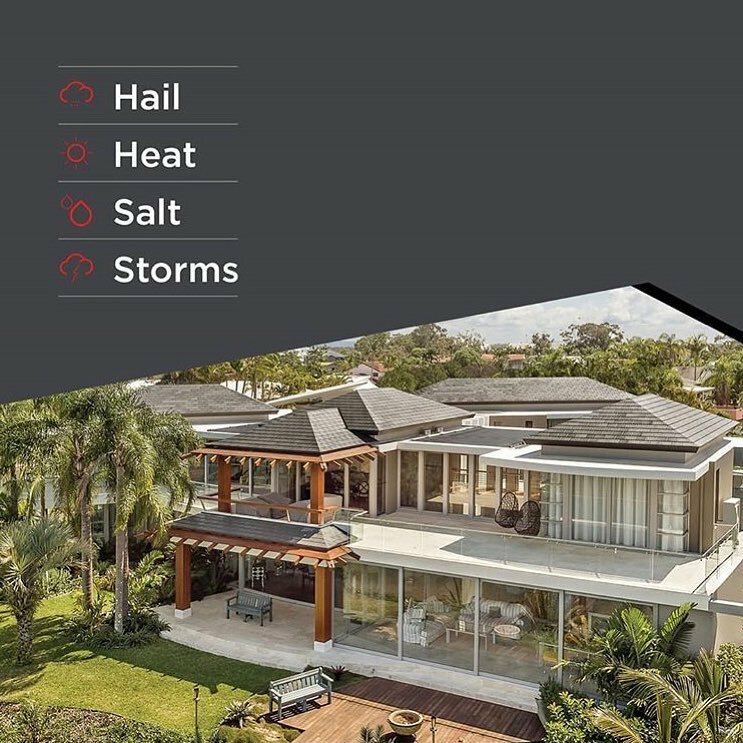 Another benefit of using the new Monier Elemental™ Series of roofing is that is has been specially designed to stand up to all of the Australian weather and environmental conditions, including harsh sun, severe storms, heavy hail, strong winds and salty coastal environments. 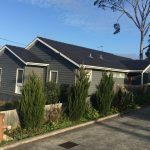 In addition, this roofing will not corrode or rust, is highly impact resistant and features a durable UV colour coating that comes with a 10-year guarantee. To discover further facts about the benefits of using the new Monier Elemental™ Series of roofing, consult with our company, Higgins Roofing. We proudly announce that this will be one of our top-quality choices for roof restorations, new roofs, re-roofing projects and roof extensions. 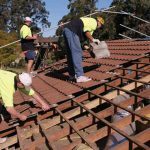 Our company will meet with you to provide you a quote upon request and help you choose the right roofing material for your roofing needs and exact specifications.